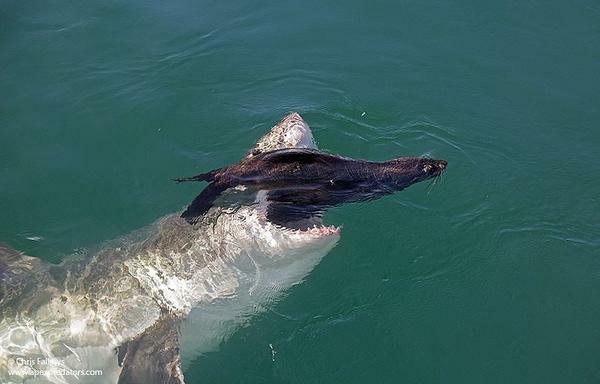 REMUS SharkCam: The hunter and the hunted from Woods Hole Oceanographic Inst. In 2013, a team from the Woods Hole Oceanographic Institution took a specially equipped REMUS "SharkCam" underwater vehicle to Guadalupe Island in Mexico to film great white sharks in the wild. They captured more than they bargained for. The Florida Museum of Natural History has a neat tool available on their website: an interactive map of every single (reported) shark attack, worldwide, since 1580. 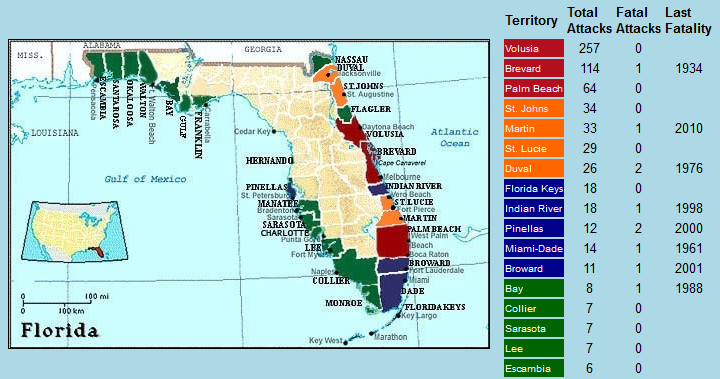 You can zoom in on specific regions (Florida is pictured above), and the map allows you to sort by species when the species was known. Information is broken down by "Attacks", "Fatal Attacks", and "Year of Last Fatality". A wealth of information, if shark-attack-related information was somehow equivalent to wealth. The interface is a bit clunky, and the design is definitely pre-web-2.0, but the information is great. Most reported attacks occur in the 20th and 21st centuries, presumably because of better recordkeeping. But with that in mind, the number of reported unprovoked fatal shark attacks since 1580 is . . . only a measly 492. To put that in context, more orcs died in Peter Jackson's Return of the King than humans have died in reported shark attacks since John Smith (Pocahontas) was born. The map is here. And for a fun take on the data, check out David Shiffman's awesome article (and my source for the map): "24 species of shark that have killed fewer people than Jack Bauer on 24".